Grab a cup of coffee kids, this one is long and important. You run a growing business in New York City, an entrepreneurial company that has an exciting new technology to improve the effectiveness of solar power generation. You have a design team working on a bet-the-business heat exchanger that uses magnetic materials to be three times as efficient as anything on the market. But a crisis has developed. Mere days away from unveiling the first prototype, the project has hit a serious roadblock. You have gathered the team in the main conference room. The current version of the prototype is set in the middle of the table. You look around the room, taking in each of the faces before you. You see that Sylvia, who is a brilliant junior member of the team, seems particularly agitated. You ask Stan, your team lead, to give a status report. Stan has thrown together a quick visual presentation including video of the latest test runs, data charts and analysis. You watch the video intently, occasionally grabbing a pointer and highlighting items about which you have questions. After Stan’s report the discussion begins in earnest. You are pacing the room, listening to the debate. Stan suspects a problem with the magnetic inductors but the two-person team who worked on the inductors remains adamant that they are nominal. Out of the corner of your eye you can see that Sylvia really wants to say something. You turn and walk over to her, facing her directly. “You have another idea?” “Yes sir I do,” she replies. Sylvia has run some tests and is convinced that there is an impurity in the device’s shell that is disturbing the magnetic fields right where the device narrows. Intrigued, you go to the table and pick up the prototype. You turn it over, looking at the narrow section. Sylvia comes over and points to the area she is describing. “Good work,” you say and pat her on the shoulder. You order more tests and a bunch of pizza. It’s going to be a long afternoon for the team. Of course, your afternoon is going to be better than theirs. Your team is sweating bullets in a small conference room in midtown Manhattan. You, on the other hand are looking at the Great Range from your living room in a beautiful house on Mountain Road off of Route 73, where you have been the entire time. A quick evening hike up Mount Jo to blow off some steam is in the plan, followed by a late dinner at Jimmy’s where you will boost the local economy to the tune of a nice Barolo, Calamari and two delicious tenderloins. Fantasy? Science fiction? Nope. It’s coming. Ladies and gentlemen, there are lots of ideas for bolstering the Adirondack economy that can be discussed and debated. Some are better than others. This one is a game-changer. Imagine a world where anyone whose career allowed them to work remotely was able to easily choose to live in a beautiful place like the Adirondacks with no loss in their ability to do their job. It’s not just our tech savvy entrepreneur from above who would meet that criterion: a retired law enforcement officer who was now a consultant; a literary agent; a software engineer; a writer or critic; an artist; an insurance claims processor; an advertising copy editor; a money manager; even a psychologist. In fact, in an evolving American economy that is ever more driven by knowledge workers, it could be any knowledge worker. From my perspective last week’s Dispatch was one of my more innocuous columns – at least in comparison to others I have written promoting wilderness in the park. 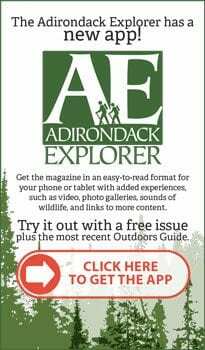 It contained three fairly non-controversial suggestions for ways we might bolster the economy by leveraging the Adirondacks as a wild place. Yet for some reason – I don’t know, maybe the change in Daylight Savings Time – it provoked the strongest and most divisive comments any of my Dispatches have ever gotten. I was disappointed to see too many of the arguments come back full circle to tired positions that have been hashed over endlessly. I’m more interested in an evolution towards something new. Personal attacks aside, the common thread in the comments seemed to be a version of “Do you really think…?” as in “Do you really think that promoting outdoor education would have any effect on our economy?” or “Do you really think that the State buying more land helps the economy more than the displaced sportsmen would?” These kinds of comments feel stale and world-weary to me, as though nothing is going to change, as though everybody is a taker and selfish, as though we know better because we live here in the Adirondack grind and middle ground is not welcome. 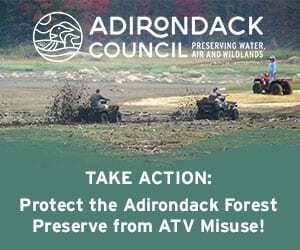 So let me put to you this way: do I really believe that running some cable and connecting people to the internet can change the economic game in the Adirondacks? You bet your bacon I do. Because this isn’t a stale and tired kind of thing; this is a new frontier and quite fortunately we are poised to be able to take maximum advantage of it. I need to call this new connected world of employment something. The most common term is telecommuting so I’ll use that even though it is not the perfect term. Whatever the label, I use it to mean working remotely from home as permanent condition, regardless of the physical location of either home or job. The argument comes in two simple parts: first, telecommuting is a massive and growing economic opportunity that will become nothing less than a transformational part of the US economy; and second, the Adirondacks are ideally positioned to take advantage of it. The aforementioned Global Workplace Analytics, which does research in telecommuting trends, reports that while the overall workforce in America grew 4.3% between 2005 and 2011, the regular telecommuting workforce grew 73%. In CNN’s latest ranking of the 100 Best Companies to Work For, 85 of them promote telecommuting and nearly ten percent of them have more than half of their employees telecommuting. Cisco Systems, a leader in telecommuting, did its own study and concluded that it saves hundreds of millions of dollars per year by supporting work from home. Intel Corporation abandoned geographic work assignments long ago. Teams are scattered and employees can work from home or any Intel facility in the world. The technological driver that enables telecommuting is a broadband or high-speed pipeline to the internet. A community or region that wants to catch the telecommuting wave must have broadband. But the presence of broadband itself has all kinds of economic benefits for a community in addition to allowing telecommuting. From improving work efficiencies to enabling distance education to reducing travel to supporting web-based shopping and on-line commerce, even to selling in global markets from the heart of the Forest Preserve, the economic benefits are pervasive. For those skeptics who want the details, I highly recommend this report from the International Telecommunications Union. In short, the economic impact of telecommuting is already tremendous and it is rapidly increasing. Telecommuting is an enabler of the growing counter trend to move to rural areas, sometimes referred to as the rural rebound. The statistics have fluctuated: before the mid-2000 recession there were two decades of overall growth in rural population; since the recession demographic movement in all directions has stagnated. But while the overall demographic shift is to urban areas, the number of people wanting to move back out to the countryside is increasing. In other words, people who seek healthy living, a longer active life, recreation, scenic beauty, a buttress against climate change, perhaps even real winters (as Saranac lake is promoting) are driving an unmistakable demographic population increase and they are looking for places like the Adirondacks. 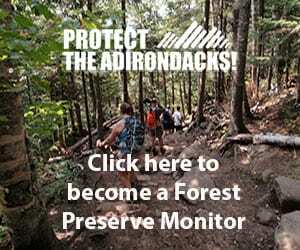 First, the Adirondacks are desirable, for all the reasons every reader knows. Wilderness is an increasing draw, as I have been arguing. The region’s location, not far from major cities and centers of technology, is good. There are marvelous educational institutions in and around the park. School systems are generally above average and some are first rate. Housing prices are generally pretty good – though not everywhere. The same is true with taxes. The Adirondack climate used to be a negative and it may still be for many. But national demographic trends are changing that for the better. Migration to warmer climates is slowing as people place a higher priority on the quality of their environment, especially access to water. Availability of clean water is becoming much more important and the Adirondacks have no lack of that. Additionally more people want to preserve the experience of four seasons with snow even as climate change stands to considerably narrow the playing field for that experience. With all that said, the Adirondacks’ natural amenities count for little if potential telecommuters can’t be connected to the rest of the world at the level they need. That means the park needs robust broadband connectivity. Taking the long-term view, this can’t be just any broadband connectivity, especially if the Adirondacks are going to out-compete other desirable rural areas for relocating workers. The standards for remote work are changing rapidly and the sophistication with which remote workers will be able to interact with others is poised to take a quantum leap, almost certainly within five years. Consider the scenario at the beginning of this Dispatch: interacting fully with people and things in a room in which you are not physically present. Think a lower-level version of Star Trek’s holodeck, if you will. Much of the software knowledge needed to create that kind of virtual and augmented reality is already understood (and software is by far the hardest challenge), thanks in part to the incredible progress in computer graphics driven by the entertainment and movie industries. I spent most of my professional life in IT and I have good friends in that sector of the business. Trust me: as the saying goes, you ain’t seen nothin’ yet. The needed hardware – processing, memory, video devices, sensors – is rapidly catching up and dropping in price. What was unaffordable just a few years ago is now a commodity. And so it goes in the electronics world. That leaves the network, which must be powerful enough to transmit the massive amount of information needed to make an interactive world out of bits and bytes. For a lot of people “broadband” means they have DSL or cable. An informal definition the industry often uses is a connection fast enough to stream video. These things take megabits per second of bandwidth. The near future of robust telecommuting, the kind that is called for in my scenario, the kind that can make the Adirondacks a marquee telecommuting draw, needs a connection a thousand times more powerful, or gigabits per second of bandwidth. Then it needs smart people to make it work, to pioneer it and prove the concept, to fund and build the infrastructure so that others can follow and so that economies of scale can start to exert their influence and social networks can draw in like-minded people. 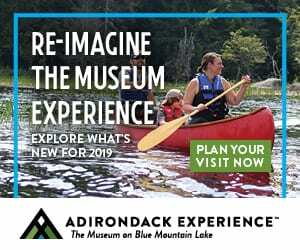 You might think that of all places the Adirondacks would be nowhere near this kind of future; heck, much of the park can’t support anything more than unreliable dial-up connection, so this kind of far-out dreaming is just more pie-in-the-sky nonsense. But you’d be exactly wrong. The infrastructure, human and otherwise, for supporting telecommuting on a scale that can reset the economic arguments in the park is being built as I write this. 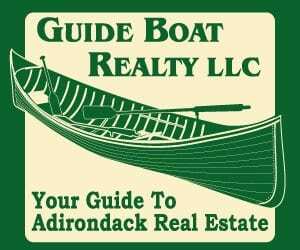 Some very bright people with world-class credentials are working in the Adirondacks to make it happen; in fact from my professional viewpoint, having spoken at length with several of them, I am convinced it is going to happen, period. Soon, we will just need to market it. 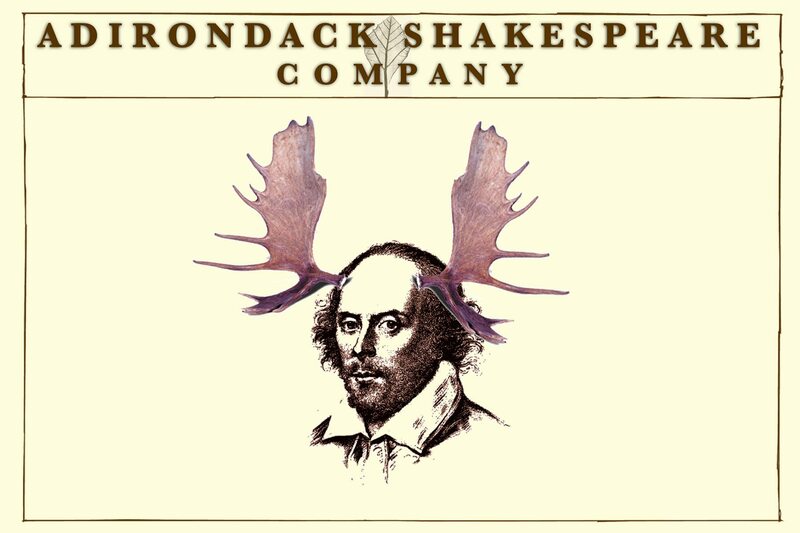 These individuals are our new pioneers and the Adirondacks are their new frontier, as it was once a frontier for men and women generations past. 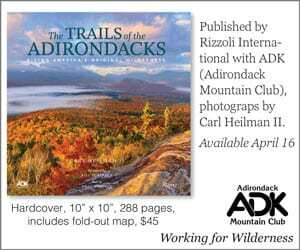 The difference is that in the past the Adirondacks were harsh and hostile, not populated with roads and towns and stores. Most of all they were too far off the beaten path to compete with other places where people went to make their fortunes. Not anymore. Not if someone can work in New York City like they’re standing in it and live in Long Lake because they love it. Next week: the state and future of broadband in the Adirondacks and the economic consequences that go with it. This is not the future this is NOW. I very regularly telecommute from my Wilmington (Whiteface- WOOOHOOO!) home. The infrastructure is already here – DSL or Cable. The issue is the perception. Many people think that if you are NOT in the office and you are working from home …that you’re slouching off or not as productive as when you are in the office. These pioneers, as you call them …need to show management that they are productive ..they need to work harder, produce more, go above and beyond their required expectations to pave the way for the rest. I work in Albany NY (a far cry from the NYC sophistication and innovation) and i see more and more jobs that are willing to hire “remote” people. My company employees several remote people that work from home full time. The time is now, it is happening …if you are given the opportunity you must grab hold of it, be responsible and show that remote employees can and do produce. Peter — you redeemed yourself from your message last week. Happily, many of us who are in sections of the park where we have been unable to access broadband are now seeing the cable at the end of our tunnel. Great piece and a welcome explanation for last week’s post. My family and I have trekked and paddled the ADKs all our lives. We think my bride was conceived at the family camp on Cranberry Lake, so our roots are deep! We telecommute now, just not as fast as we would like. It appears that the funding announce on Thurs. by ESD will result in 100MBps fiber on our doorstep by mid year 2013. YEAH. This connection speed, when fully deployed will make a huge difference — seasonals will become permanent residents, or at the very least will spend more time here, with all the consequent impacts on local communities. The infrastructure will be capable of gigabit when that is price affordable by middle class. I am the telework program manager for a local government agency that employees 1000 people. I live just inside the Adirondack Park. Due to the Telework Enhancement Act of 2010 which was signed into law by President Obama on December 9, 2010, it requires federal agencies to provide support for telecommuting employees by establishing a telework policy. I attended a telework town hall meeting in DC a few months ago with almost all the other DOD agencies. Good news is most of the DOD agencies are either starting or expanding their telework programs. Our telework team has developed a 100+ page program guide and we also have online training and conduct in house classroom training before anyone teleworks. We also have our own telework mailbox for emails and internal eportal telework page. If you have any questions or need any help with starting your own program feel free to give me a call and leave a message and I will get back to you asap. In March of 2012 we privately financed and launched the aforementioned website to promote teleworking in the Adirondack Park. 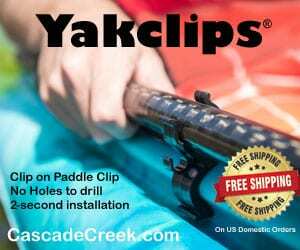 The project is managed by the Indian Lake Chamber of Commerce. We currently have an Americorps member working full time to add and update the job listings, locate and include financial and educational support mechanisms, and engage local municipalities throughtout the park. I would be happy to discuss the project at any time. What is the URL of “the aforementioned website”? Interested people should check into the Clarkson “Forever Wired” work conference as well. 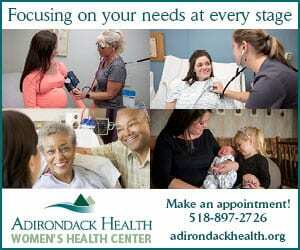 Please visit http://www.AdirondackGoodLife.com as well. Hamilton County is looking forward to the installation of broadband infrasructure by the end of 2013, with speed increases in our hamlets by early February. Savviskills® is a digital/performance skills program designed for North Country high schools to teach students digital skills, develop interpersonal and job performance skills that prepares them for telecommuting job opportunities resulting from the impact of Global Foundries growing presence in Tech Valley and the North Country. Please contact me concerning your program. I would like to do anything I can to promote your program. Together we are helping our local economies turn the corner. I applaud your promotion of this concept. I’m not yet a full-time resident at my Adirondack home, but one of the reasons I can’t be relates to connectivity. In addition to my own technological needs, I have family members whose visits have to be limited due to the challenges of communication in Northern Warren County. Cellphone reception and broadband need to be much more available. This is a potential game-changer for the region – I firmly believe that! Fantastic post! We share your vision, and your aspirations here in Schroon Lake, where we are hoping to build out the fiber optic infrastructure you describe. I am even more optimistic than you are. 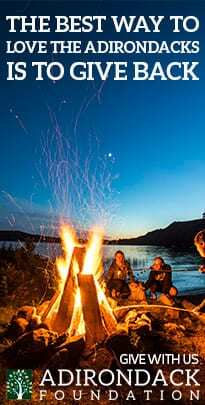 In many areas of the Adirondacks the fuel for the fire to light up the economy is already here – the weekend homeowners who would love to spend more time here. No marketing necessary! For many, the future is now. from the late 1990s to mid-2000s, I worked with the international clientele from Chestertown. It was a lot easier when we finally persuaded Frontier to provide DSL service. Now we have to get them moving on the next level. HOWEVER, PHYSICAL PROXIMITY IS IMPORTANT, and we really don’t have it. 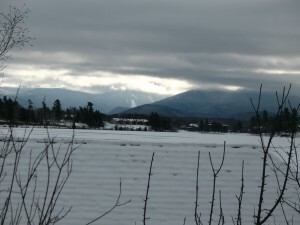 Compare Lake Placid with a Western option like Park City, UT. Unless one has access to a private plane, Time from LP to major airport: 3-5 hours. From PC to major airport: 40 minutes. While day-in, day-out business can be conducted by wire, eventually one has to show up in person, press the flesh, smile, growl and shake. 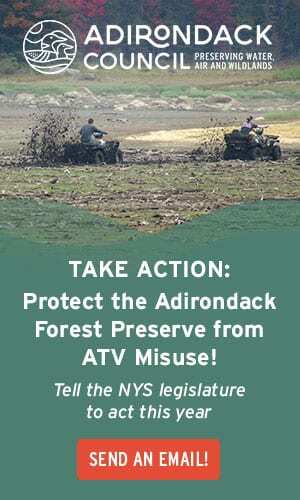 This isn’t a deal-killer for the Adirondacks, but it must be considered. And it ain’t likely to change. You are correct that it often takes more than broadband. Telecommuting is very broad, but for some large segments of it, a net connection isn’t enough. Cell service (all the cell companies now offer pico cells that use your broadband connection) is a must-have. Aiports: Watertown now has Chicago flights, usable for the northwestern area of the Park. Plattsburgh is developing nicely, soon to add many more gates and combined with Montreal for European flights, the northeast area should see improvements. Global Foundries tech business may attract someone to add direct bay area flights out of Albany. Social needs: After working all day at home alone, most people need after-work social engagement. Anything will do: a gym, a bar, a club, but someplace the serves to bring people together socially is needed. Like all things in the Park, some areas will benefit more than others. My wife and I and our 3 kids (14,11,8) are doing this right now. We moved to Long Lake full time in April. I own a business in central NJ (a 5 1/2 hr drive) and work it from Long Lake 4 days a week. Soon to be run 100% of the time. It has not always been easy, but well worth it. We are pulling our resources out of NJ and putting them up here. We could not have done this 5 years ago, but now it is possible. I would recommend this to anyone. I have been successfully telecommuting from Long Lake since Feb 2007. I work for a major pharmaceutical company that is headquartered in MA. I switched jobs, in my field, so that we could move permanently to Long Lake and sell our home in MA. I spend most of my working day doing technical projects, on conference calls and webexes, and managing my staff. I work with colleagues throughout the US and Europe. There are times that the Frontier DSL is not great or that I lose power, but that’s a great time to enjoy the ADKs. 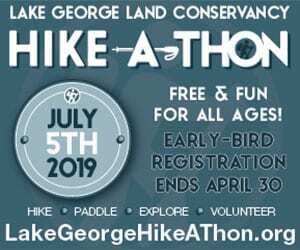 I often plan my work schedule so that I can enjoy friends and family, biking, hiking, cross country skiing, and kayaking, depending on the weather. I go back to the company headquarters at least quarterly, which also gives me a chance to visit with family and friends. This works, but it works because I am extremely motivated to make it work…from finding the opportunity and maintaining an excellent work ethic, demonstrating to my company that I am a valued employee. Telecommuting requires that you be self-motivated and flexible, but it can be done successfully. Real broadband will make it even better. Bill, your hot link is misspelled. Future? for some. For me it’s the now. At the moment I’m looking out my back window in northern Saratoga county. Not much out there for a few miles but white pines and hardwoods. Meanwhile, my cable internet lets me check email and correspond with fellow workers back in the office on 8th Ave in Manhattan. I moved away for a time for work. Without broadband I wouldn’t be able to work here part time or even imagine moving back fulltime. I couldn’t work without it. This could be an opportunity for thousands of new people to move to the area. I have three good friends who telecommute from the area. All three of them own motor boats that they bought from another friend who owns a marina. It is all good for business. It may not be as compatible with your “wilderness” model as you think. Paul, you’ve got it. Plus you give me a chance to clarify a couple things. The tiresome, circular, black-and-white side-taking that keeps showing up completely misses the point. I’ll keep harping on that until I’m blue in the face. Advocating for more wilderness – as I do, on the well documented basis that there isn’t close to enough in America and that it is important intrinsically as well as being an economic driver – is not the same thing as saying that the whole park should be wilderness. Advocating for more public land is not the same thing as opposing private land ownership – for God’s sake! What silliness. My “wilderness model” in the Adirondacks, if we want to say I have one, is – surprise! 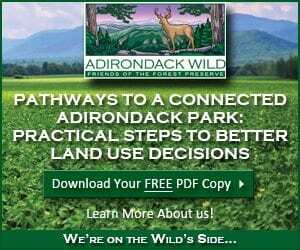 – the Adirondacks: a mixture of public and private land. Let’s have the wildest land in the continental US, vibrant communities, world-class broadband, world-class tourism, world-class restaurants (congrats, Mirror lake Inn) and world-class recreation. I don’t think those things are incompatible, and I think Wilderness protection for valuable parcels is critical. To that approach we get “Guest” et al mouthing off with “how dare you” comments about private land and tax dollars. Paul, you like to provoke here and there but you have your share of sensible comments. This is one. If telecommuting leads to more motorboats on, say, Blue Mountain Lake, then I’ll be going down to the livery with a case of beer to share with my pals the Booths who own it and who are good stewards of the lake and we’ll shoot the breeze and argue politics and I’ll be thrilled that their business is better. Blue Mountain Lake is spectacular and possessed of beautiful harmonies, but it is not wilderness. 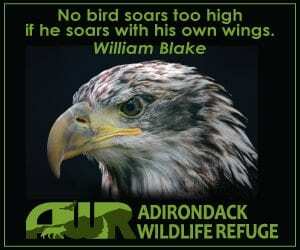 I can say that and still advocate for more wilderness in the Adirondacks and still own private land. I have been living full time in Lake Placid for the past 9 years after my employer, Oracle, actually requested that if possible we work from home (WFH). I support their ERP system, Campus Solutions, which runs universities worldwide. Oracle realized years ago that they did not need to maintain larger offices if their employees had the ability to WFH. The savings to the corporation has been significant, but Oracle has the technology at its disposal to make this simple for all of us. 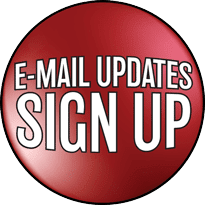 Besides doing frequent web conferences with my customers, we have our own internal web chat, training via live virtual classes, VOIP systems via our PCs, and of course, access to our own support people 24×7. During Superstorm Sandy, while many of my colleagues were without power and connection, here I sat, looking out at our glorious mountains, talking with clients in every part of the globe and truly appreciating my own circumstances. Life is what you make of it! Excellent piece, Pete. I would add that broadband access is important not only for telecommuting and self-employment, but also for public education. We all know how difficult it is for rural school districts to offer the range of classes and programs found in urban areas. With quality telecommunications infrastructure, students can take advantage of online classes. They can also access videos and other tools that aren’t generally compatible with slow dial-up service.